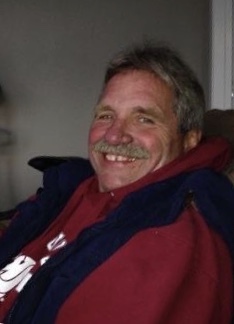 Alan Anthony Frye, 69, of Deming, WA, fought a strong fight against kidney cancer and took his final breath at home surrounded by family on November 9th, 2018. Al is survived by his wife Cassy of 39 years, his daughters: Heidi, Donni, Kellie, Allison and his son Marshall, and many loving grandchildren, great grandchildren, nieces, nephews and extended family. Al was a loyal and loving dad, husband, Papa, Grandpa “Owl” and friend. Al worked 30+ years in the auto insurance business and did odd jobs on the side to provide a comfortable life for his family. He built a dream log home in Port Orchard WA, and later moved to Deming, WA to live on land where he could build his dream shop. His love of cars and auto body were seen throughout his life, building and restoring classic cars as well as working on his family’s and friend’s cars. Al could fix just about anything! He was the first person we would all call if something was “broken” or “wasn't working right.” He enjoyed weight lifting, lingcod fishing, scuba diving, archery, riding his bike, listening to classic rock, and swimming, playing, and wrestling around with his grandchildren. He will be remembered for his big, silly smile, goofy sense of humor, making up songs for people, his dad dance moves, being Mr.Tinker/Fix -it, his teenage crush he has always had on our mom, but most of all for the joy and love he had for his grandkids! He will go down in history as being the BEST PAPA! His family and close friends will be celebrating his life during a private party that will include all Alan’s favorite things.